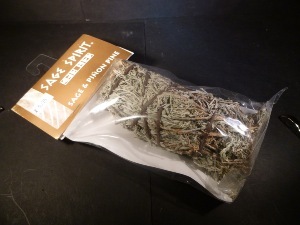 Made with sage from New Mexico and Except for "Sage Only” Sticks, are combined with either cedar, sweetgrass, copal or lavender. All sticks are wrapped with 100% cotton yarn for safe and healing burring. Each ingredient is considered a scared herb used for centuries by native americans in their "smudging” ceremonies. 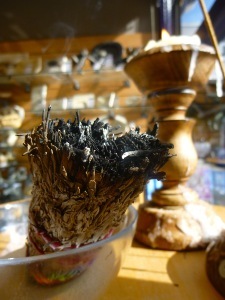 "smudging” is the name given to the burring of these herbs for purpose of cleaning and sending out prayers. Today people are smudging to receive the benefits known to generations of our Native American brother and sisters. CAUTON: A lit sage stick should NOT be left burring while unattained, and care should be used when extinguishing smouldering sticks.